CHAPEL HILL, N.C. — A self-described “anti-theist” has been charged with three counts of murder after gunning down three Muslims near the University of North Carolina campus on Tuesday. 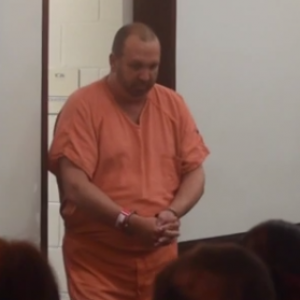 Craig Hicks, 46, turned himself into the Chatham County Sheriff’s Office following the execution-style shooting that took the lives of Deah Barakat, 23, and his wife Yusor Abu-Salha, 21, as well as Abu-Salha’s sister Razan. Barakat was studying at the University of North Carolina School of Dentistry and his wife was set to attend the school in the fall. Police outlined on Wednesday that initial findings appeared to indicate that Tuesday’s shooting, which took the lives of Hicks’ Muslim neighbors, occurred over a parking dispute. However, they have not yet ruled out whether religion played a role in the incident and are further investigating the matter. Hicks’ wife spoke during a press conference and asserted that her husband did not target Barakat and his wife and sister-in-law because of his opposition to religion. But the family of the victims contend otherwise. He said that his daughter had expressed her concerns about Hicks just last week. “Honest to God, she said, ‘He hates us for what we are and how we look,’” Abu-Salha told the outlet.